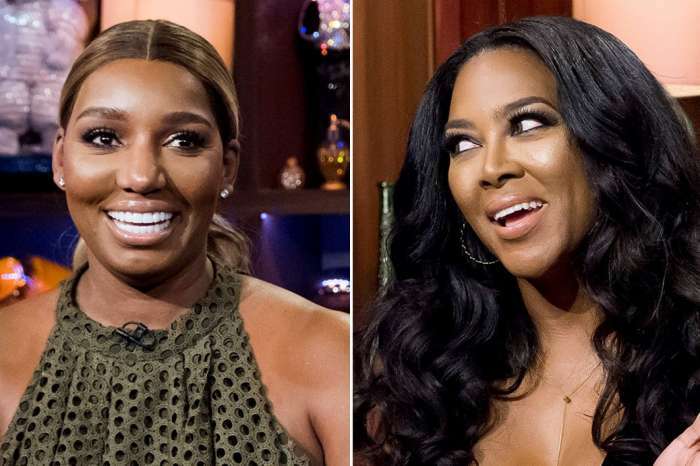 ‘RHOA’ Reunion Juicy Spoiler: Marlo Hampton’s Shocking Extortion Plot For Nene Leakes Allegedly Exposed By Kenya Moore! The season ten reunion for “Real Housewives of Atlanta” filmed on Thursday, March 15. Since then multiple spoilers have leaked and the Bravo series is headed towards another historical show that’s sure to bring in the ratings! If you thought that the Phaedra Parks revelation couldn’t be topped — just wait until you hear what happened during filming this time. Kenya Moore and Marlo Hampton have always been on the outs. The two strong-willed and razor-tongued women allegedly face off this year on the confessional couches. Sources say that Hampton attacked the “RHOA” star’s marriage by calling it fake. Kenya, in turn, reportedly spilled the tea on Marlo’s extortion plot against her frenemy, Nene Leakes. This entire season Marlo and Nene have been as thick as thieves. But merely years ago the two were at each other’s throats. B. Scott reports that Kenya tells Andy Cohen that Marlo invited over Nene’s ex-love interest, a man named John Kolaj who she dated briefly while she was broken up with Gregg Leakes, gave him a massage, and took screenshots of Kolaj’s conversation with Nene. She then threatened to show Gregg! The shocking allegations may be true because if you’ve been following the show, you’d know that Porsha Williams said that she knows about something “low down and dirty” that Marlo did to Nene. Her comments were prompted by the fight she had with Hampton when she brought up Porsha’s drama with Kandi Burruss. Whatever may or may not have happened between Hampton and Leakes doesn’t matter now because they’ve got each other’s backs completely. Other spoilers indicate that Marlo assisted Nene in attacking Kim Zolciak. Insiders believe that the drama that Nene’s friend is causing is all a part of a plot to get a peach thus becoming a main cast member of the show. What do you think about this new information? Do you think Marlo would stoop that low to extort her best friend while they were arguing? 'Will & Grace' Officially Renewed For A Third Season - Read The Details!